The eighth edition of Sentencing in Hong Kong is a vital work of reference for anyone involved in the criminal law, as well as for students and observers. It examines all aspects of sentencing law and practice, and considers the effect of latest developments. Recent appellate judgments have significantly changed sentencing practice, and the effects are expertly analysed. By referencing case law from other jurisdictions, local sentencing norms are placed in a comparative context, which enriches the whole. The impact of human rights guarantees on sentencing for specific offences is considered, against the backdrop of international jurisprudence. The appropriateness of particular sentences is assessed, together with the factors which influence the available choices. New legislation is explained, and the changes to sentencing guidelines and tariff judgments are discussed. Aggravating and mitigating factors are summarised, with the overall text having undergone modernisation. 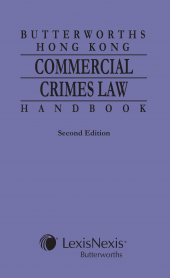 The Appendix contains the cases on quantum of sentence and the sentencing ranges for particular offences, and new topics are included. Patrick WS Cheung is a barrister-at-law, with a wide experience of public prosecutions in the Department of Justice. He served as Head of the Vulnerable Witness Team, Chairman of the Standing Committee on Disclosure, and Prosecution Policy Co-ordinator on Policy and Research (Crime). Mr Cheung sat on the Criminal Procedure Rules Committee, and the Working Group on Combating Violence. 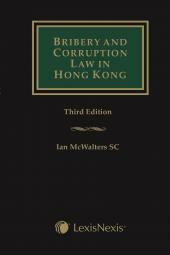 He is the author of Sentencing Policy, and has contributed to Halsbury’s Laws of Hong Kong and The Annotated Ordinances of Hong Kong. Mr Cheung has served as Associate Editor of Hong Kong Cases, Contributing Editor of Archbold Hong Kong and Consultant Editor of Hong Kong Law Reports and Digest. In 2010, he was awarded the Long and Meritorious Service Certificate, for services to government.